Computer programming, also known as coding, has been a highly sought after profession since the inception of the computer itself. I don’t know how many times I’ve heard the phrase, “Computers don’t do anything that you don’t tell them to,” and even in today’s technical day and age, many still don’t understand how true this statement is. Computers are only novel electronic boxes without programmers providing them with instructions in the form of software. Having the ability to write these instructions and communicate with the computer can open up a whole new world. Let’s look at a few things that make computer programming such a great career option. There are no limits to the things that you can create when you have the ability to write computer software. You can automate manual tasks, make things faster and easier for users or solve almost any problem. It gives you the ability to create something that you can be proud of. Programming sharpens your problem-solving skills. You take in the description of a larger problem and break it down into smaller pieces. Then you can begin to chip away at the larger solution one piece at a time until you’ve finished the puzzle. The problem-solving skills you learn by programming will transcend to every aspect of your life. Since computers are connected by networks, and now even most things live in the cloud, you don’t have to be tied to a specific location. You can do your job just as effectively in a location of your choosing – not just a generic office setting. Technology changes almost daily and this is especially true for programming. New languages and development environments are always coming out that can make your experience better and more efficient. You have the opportunity to stay on the cutting edge of technology out of necessity. There are also classes and courses, like those at ONLC, that can help you stay ahead of the trends. Experienced programmers are hard to come by and command good salaries because of the level of training and education needed. As a programmer, new opportunities are always being created by the advancement of technology. Use these opportunities to your advantage and push your career to the next level. If you’re already working in the technical field, you can add to your current skills by learning to program. By coupling your new programming skills with your amassed technical expertise, you can become a power user and accomplish things that were not previously possible. 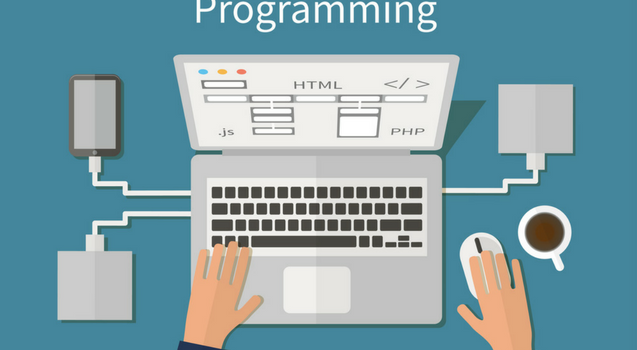 Adding programming to your current skillset can also make you a prime candidate for potential job openings. There is nothing like taking pride in the fact that you have created something that people use every day to help them do their jobs successfully. You get to create things that no one has ever thought of before to help people accomplish things that were previously not possible. It obviously helps to have a college degree, but it isn’t necessary when learning to program. You can learn through books and courses or even take online classes provided by professional training masters at ONLC. We provide classes on the most current and relevant programming languages and concepts in the industry. Contact us today to learn how you can train to have a more fulfilling career. I can see how programming increases problem-solving skills. Like you said, it helps you break down large problems into smaller ones. Also, as our technology becomes more advanced it will be important to have a coding knowledge base for more and professions.